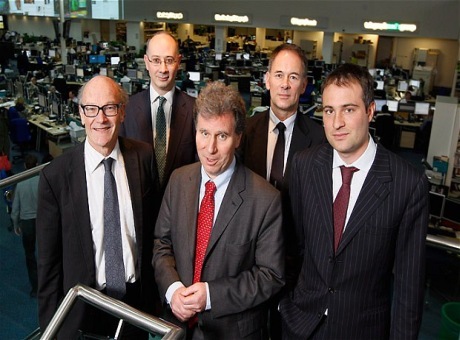 Professor Paul Ekins, Director of Energy and Environment Policy at UCL-Energy tonight joins a panel of politicians and industry leaders at a debate hosted by the Daily Telegraph. At the event ‘The Green Economy: Blessing or curse?’ Daily Telegraph readers will pose their questions to the panel which also includes Oliver Letwin, Minister of State at the Cabinet Office, Shadow Secretary of State for Energy and Climate Change Caroline Flint, and David Hone, Senior Climate Change Advisor to Shell. The Daily Telegraph, in association with Shell, is now in the second year of its Age of Energy series, looking at the key energy issues facing the UK today. This second series has focussed specifically on ‘The Green Economy’. The debate at the reader event was reflected on the Age of Energy microsite and in a special feature in the Daily Telegraph on March 2 2012.